Invertek’s variable frequency drives will be on display at the Drives & Controls Show being held at the NEC Birmingham from April 12 to 14. One of Invertek’s UK sub-distributors, EMAG, will be putting some of the company’s Optidrive range on show and can be found on Stand D386 at Drives & Controls - recognised as the UK’s leading show for Automation, Power Transmission and Motion Engineering. Invertek’s Global Sales manager, Nick Thorne, says, “Invertek is now a major player in the global industrial automation market, selling products into more than 80 countries worldwide and we are delighted that EMAG are showing our products at this show. “As a variable frequency drive (VFD) manufacturer, we are dedicated to providing easy to use AC drives for the control of electric motors in industrial automation applications around the world. 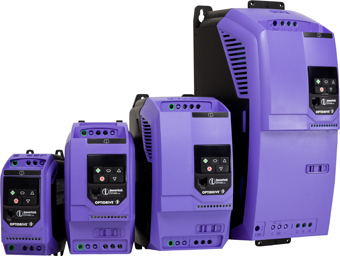 “Our AC variable frequency drives provide energy efficient control across a range of applications that include fans, pumps, industrial automation, HVAC building services and elevators/lifts. “Drives & Controls Show is a biennial event and has grown over the last decade with more than 13,000 visitors in 2014 so we hope many more people will see our Optidrive range of products thanks to EMAG,” he added.